Ken Harrell of the Joye Law Firm cites a University of Georgia study finding that management plays a role in shaping workplace attitudes towards safety. Management is key to the safety climate of any workplace. This study reinforces the idea that companies need to make worker safety their top priority. 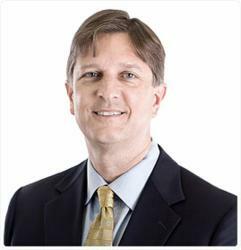 Charleston workers’ compensation lawyer Ken Harrell today asked employers to heed the advice of a new University of Georgia study that says a workplace culture dedicated to safety can reduce occupational injuries. The study is entitled, “Occupational Injury in America: An analysis of risk factors using data from the General Social Survey.” It was published in the March issue of the Journal of Safety Research. According to its authors, workers’ perception that a positive safety climate exists at their jobsite can decrease injuries by a third or more. The study surveyed 1,525 workers about how they viewed safety in their workplaces. Workers’ perceptions of a positive safety climate can decrease injuries by 32 percent, the study found. In well-managed companies, that figure can increase to 38 percent as workers’ opinions improve, the researchers said. Harrell pointed out that more than $824 million in workers’ comp benefits and medical costs was paid in South Carolina in 2009 to 2010, according to the S.C. Workers’ Compensation Commission. “Given those costs, we’d expect employers to be ready to adopt any and all reasonable steps to avoid workplace accidents and injuries,” Harrell said. The Charleston workers’ compensation benefits lawyers of the Joye Law Firm represent residents across the state in personal injury and workers’ compensation claims. “Workers should be able to do their jobs with the confidence that their employers want them to be safe,” Harrell said. “They should also be confident that if they are hurt on the job, their medical needs and other expenses will be met. Since 1968, Joye Law Firm has aggressively represented injured and ill workers, including private sector and public sector employees, throughout South Carolina. The firm’s practice areas include workers’ compensation, Social Security disability and a variety of personal injury claims, including car accidents, birth injury, brain injury, defective products, drug injury, motorcycle accidents, nursing home abuse, spinal cord injury, truck accidents and wrongful death. The Joye Law Firm has offices in Charleston and Myrtle Beach, and its dedicated workers’ compensation attorneys are ready to travel anywhere in South Carolina, including North Charleston, Mount Pleasant, Goose Creek, Summerville, and Moncks Corner to assist injured workers. To learn more, contact the firm by calling (888) 324-3100 or filling out its online form.